Sydney's Event Showcase, for the first time, will also feature a VIP Buyer Program to accompany the Australian Business Events Expo new revamped two-day Program. 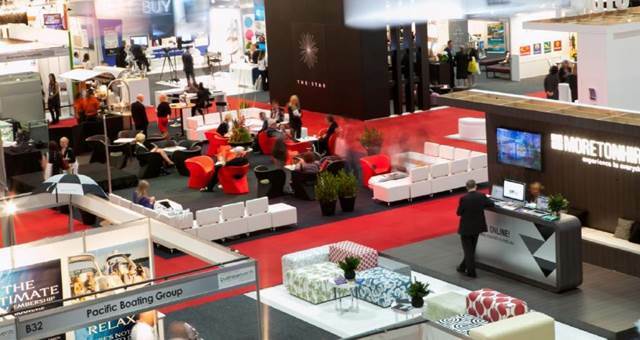 The VIP Buyer Program has been developed to provide exhibitors across both tradeshows, the ability to have one-on-one meetings with some of Australia’s and the Asia Pacific’s most influential and prominent event buyers. With more than 60 targeted VIP buyers coming from the association, government, event agencies and the corporate sectors across the Asia Pacific region, the program offers all exhibitors unprecedented access to meet with pre-qualified, event professionals with business in hand. Sydney’s Event Showcase will now offer a VIP Buyer Program, joining the revamped program for the Australian Business Events Expo. Karen Krieger, event director, recognised that guaranteeing the opportunity to secure face-to-face meetings with qualified buyers was a critical component to adding another level of ROI for exhibitors. “The primary reason organisations exhibit at tradeshows is to meet new clients, secure qualified business leads and in turn do business. This year for the first time, we have made sure that exhibitors, to both tradeshows, have this opportunity with the VIP Buyer Program. We also want to ensure the visitor has a positive experience at the event and can take part in a number of activities arranged for them. “That said, each VIP will be pre-qualified and meet the selection criteria; they must be the decision maker or have direct influence over financial decisions, and have events needing suppliers,” said Krieger. Using the an online buyer appointment system, exhibitors and VIP buyers will be able to pre-schedule one-on-one meetings, maximising the time spent conducting business over the course of the two-day tradeshows.